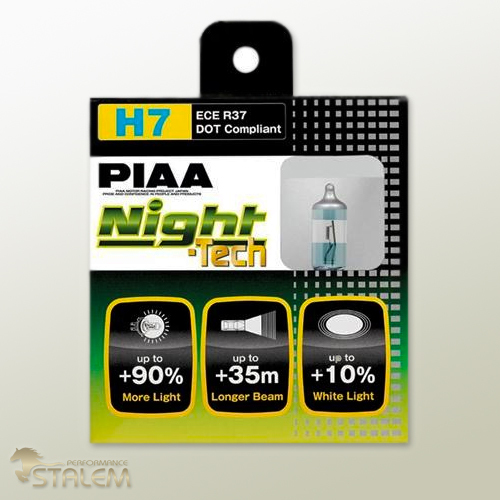 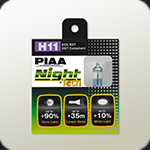 The Night-Tech line of high output replacement bulbs from PIAA features several advancements in performance, durability, and manufacturing. 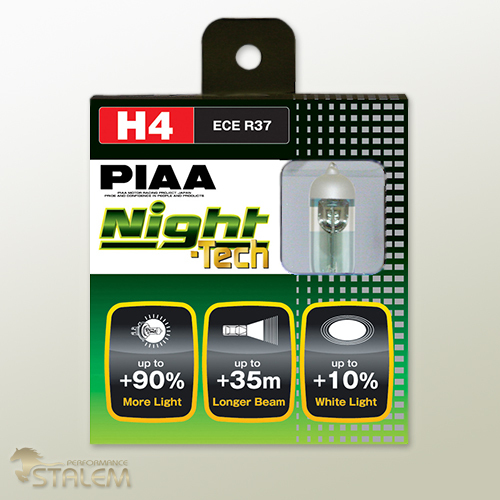 Through the use of a unique mix of gasses including a higher proportion of inert gasses as well as a new filament material these bulbs offer up to 90% more light than a conventional bulbs. 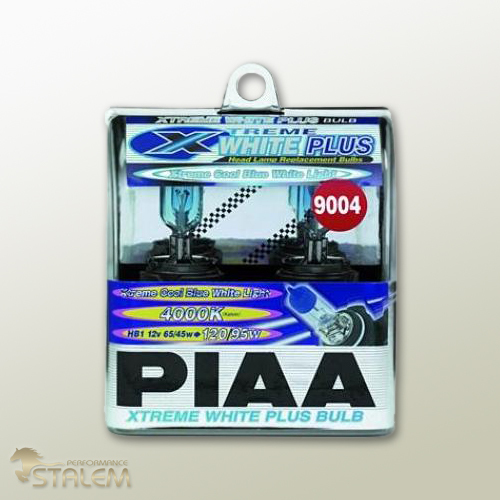 The gasses, filament material, and coatings on the bulbs offer a color temperature in the 3600 Kelvin range for a whiter output than standard bulbs. 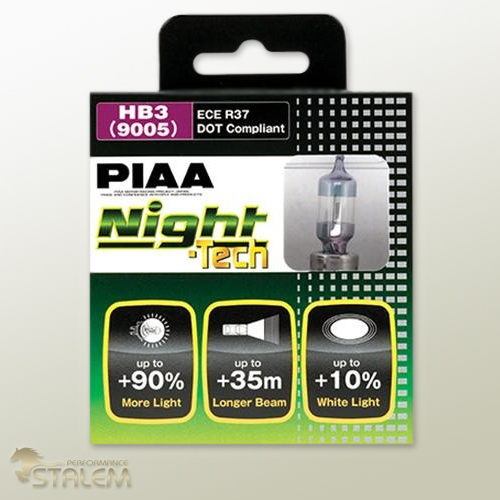 The unique dual band bulb coatings not only create a whiter light but a brighter, longer range (up to 35 meters) output when compared to other replacement bulbs. 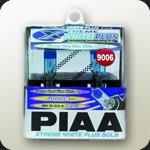 They are all E-Marked and road legal. 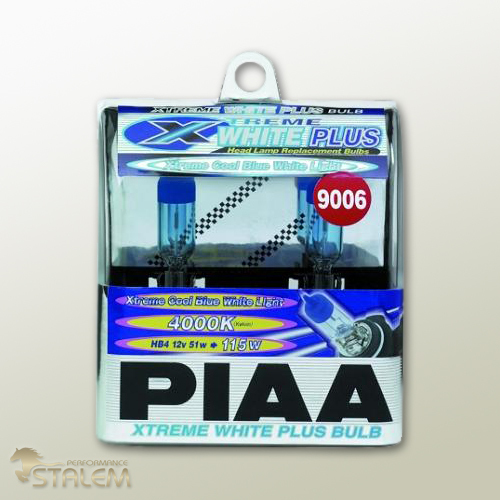 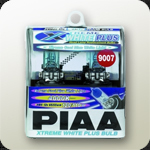 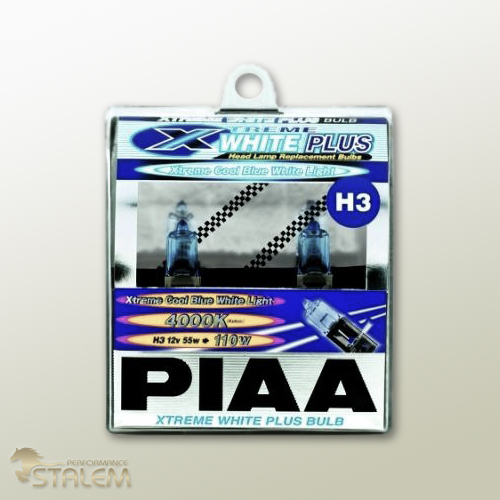 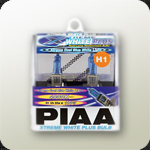 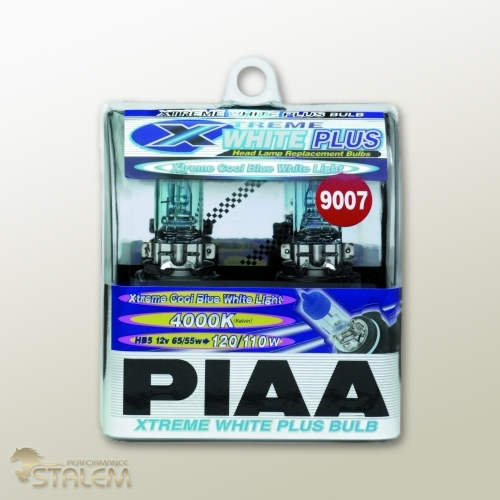 PIAA bulbs are engineered with XTRA Technology for greater performance per watt compared to the competition. 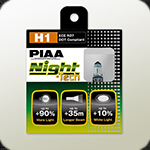 XTRA Technology is achieved when a proprietary gas mixture is combined with an aerospace alloy filament that produces greater light output than its rated power consumption: i.e. 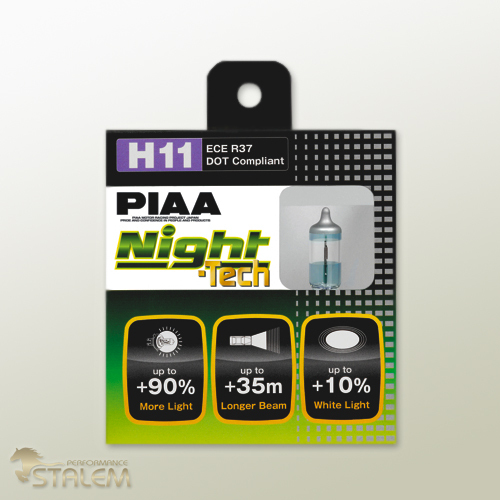 55W = 110W. 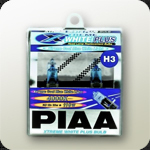 Performance - Xtra technology produces better color contrast and depth perception allowing drivers to see farther. 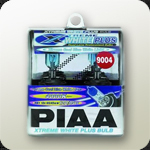 Quality – Manufactured to DOT Specifications and backed by a one-year warranty. Technical - One-piece filament and heat-resistant quartz glass ensures dependable, consistent performance. 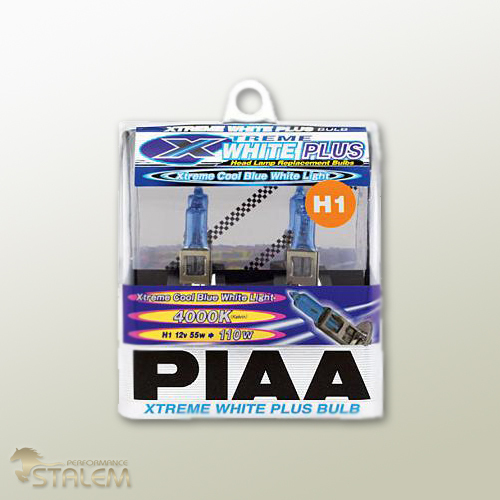 Style – Xtreme white color output with crisp illumination for the HID look.